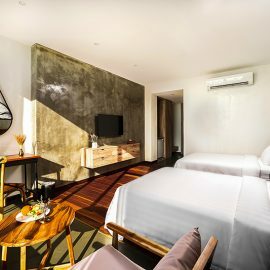 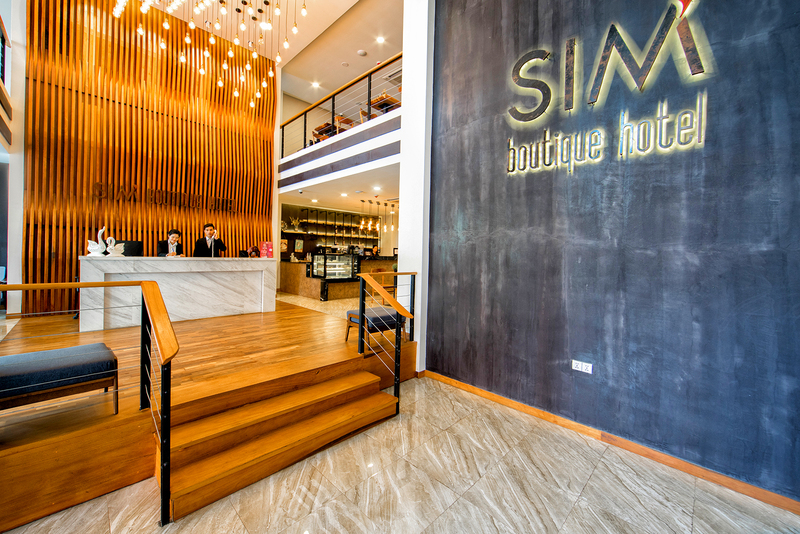 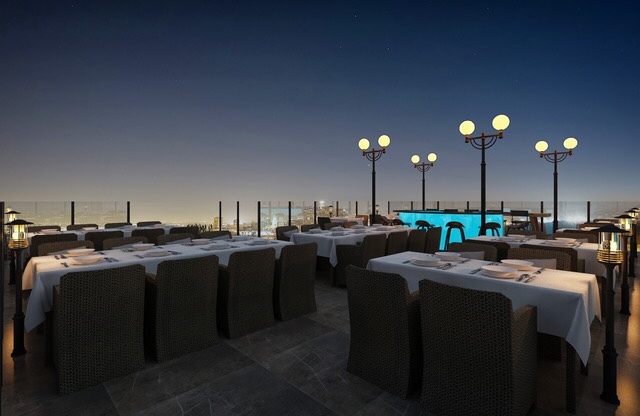 SIM BOUTIQUE Hotel is a newly-built boutique hotel located in downtown Olympic- Stadium Phnom Penh and is suitable for leisure and business travelers. 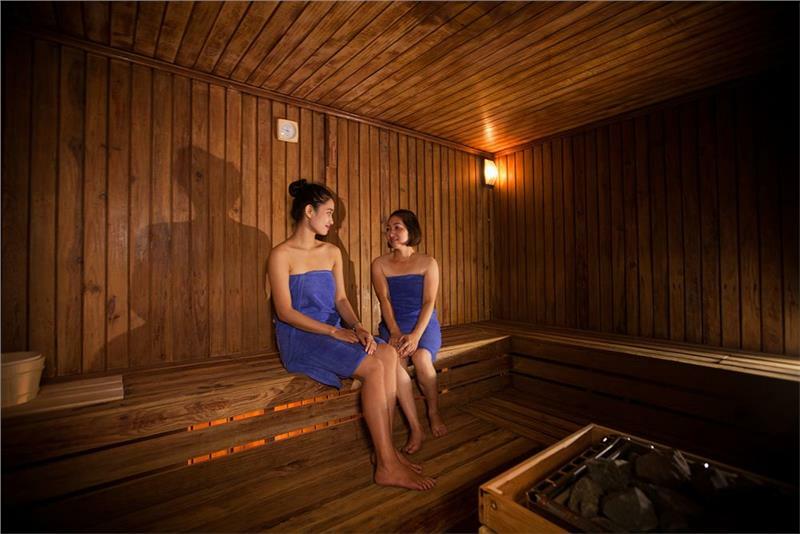 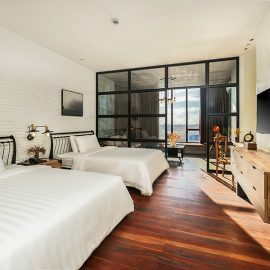 Offering free Swimming Pool Sauna Room and Wi-Fi throughout the boutique hotel vicinity, Lobby- Lounge on 1st floor Restaurant is on mezzanine 1st floor and swimming pool Sauna Room and Sky bar on roof top 16th floor. 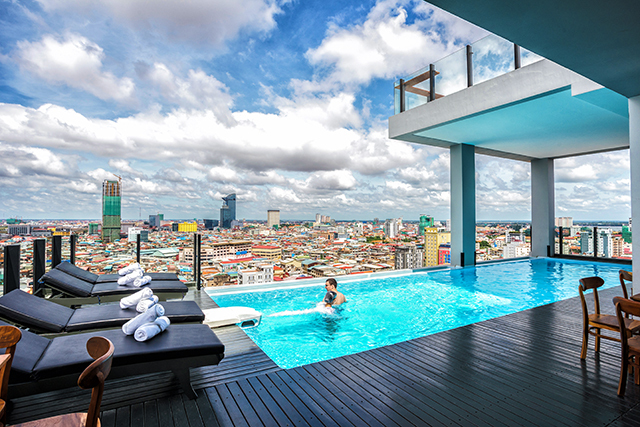 It is about 10-minute walk to shopping centers, markets, restaurants and most government, NGOs and UN offices. 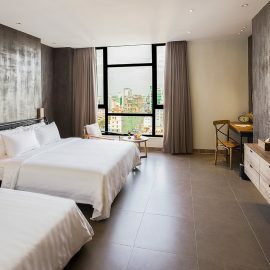 It is also very near to popular attractions like the Olympic Stadium, Independence Monument, Royal Palace, National Museum, Wat Phnom and the river front. 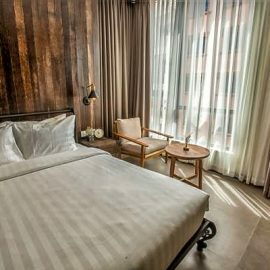 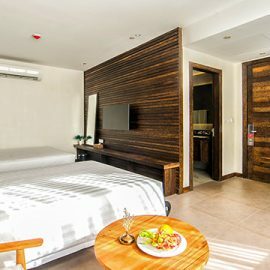 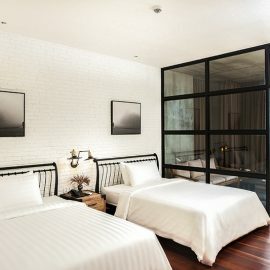 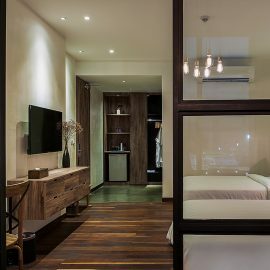 Boutique Hotel rooms are comfortable, décor interior by Khmer architecture palm wooden marble break white & black fully air-conditioned and provided with a cable flat screen TV. 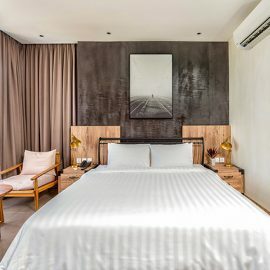 Distance from Phnom Penh International Airport is about 30-minute drive. 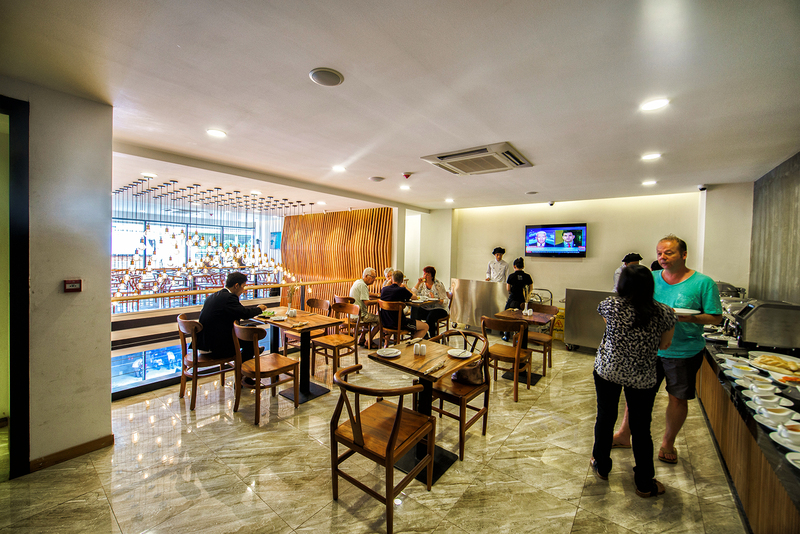 Available all refreshing drinks, beverages, cocktail, all day dinning featuring Khmer, Asian, Western cuisine and Pizza in House.